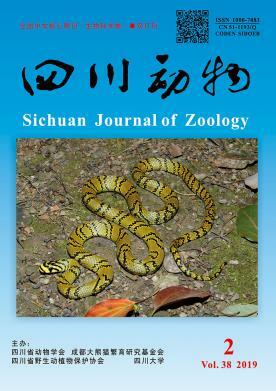 英文摘要：Euprepiophis perlacea is an endemic species in western China. It is also a critically endangered species in China Red Data Book of Endangered Animals. In this study, 20 specimens of E. perlacea were collected by transect method and sampling method in the distribution area. The scale characteristics, body length, tail length and other morphological characteristics were measured. The data of 25 specimens were analyzed statistically, including 5 specimens redorded in the literatures. The results showed that the scale characteristics were effective for classification. Especially, the dorsal scale (19-19-17 lines), the number of left upper lip scale (7) and the right upper lip scale (7) had no difference among all specimens, and thus these could be considered as typical features for species identification. Seven morphological traits, including subcaudal scale, body length, tail length, head length, head width, head height and eye spacing, were analyzed by ANOVA. No significant difference was found between sexes, and no sexual dimorphism was found in E. perlacea. Considering the beautiful body, non-toxic, mild temperament, slow movement, narrow distribution area, sparse population of E. perlacea, but high human population density and serious human disturbance, it is urgent to strengthen the scientific research, legal publicity and popular science education to ensure the continuity of this species.